First unveiled at the Paris Motor Show last September, the C4 started selling early this year in Europe and plans are in place for it to start in Australia beginning next month. whether or not it reaches our roads remains to be seen as the customers’ confidence with Citroen cars in Malaysia might not be at its highest. The new 2011 C4 is 4,330mm long, 1,790 wide and 1,490 tall which makes it bigger than the first generation model. It is also longer if stacked up against the Golf while it is shorter than the newest Focus. It comes with 408 liters of storage space in the rear when you fold up the back seats which beats both its competitors in that department. The car is designed based on the DS High Rider concept which will also be used as the benchmark when Citroen releases its DS version of this model. For the Europe market, the C4 will come in 5 engine choices (2 diesel and 3 petrol). On top of that, it will also come with 2 micro-hybrid versions (e-HDI). The petrol engines are 1.4 and 1.6 liter engines mated with 5 speed manual transmission and 4 speed automatic transmission gearboxes respectively. A 1.6 liter turbo version and 6 speed automatic version also are included whereas diesel engines will come in the 1.6 liter HDi and 2.0 liter HDi versions respectively which will also be developed through into the micro-hybrid models as well. The C4 comes with some very nice features like the blind-spot monitoring system, cruise control system, a speed limiter as well as a cornering light facility. It also comes with Citroen’s own eTouch system which is set to control driving behavior as well as in managing the fuel efficiency of this car. As mentioned, while the Citroen brand might not bring the sense of awe to our roads but it surely is picking up with more Malaysians opting for better driving experience for a premium brand. 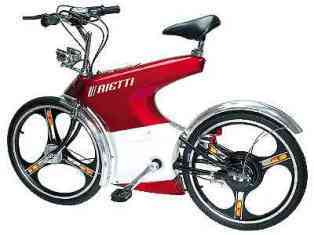 Government studying feasibility of electric bicycles.